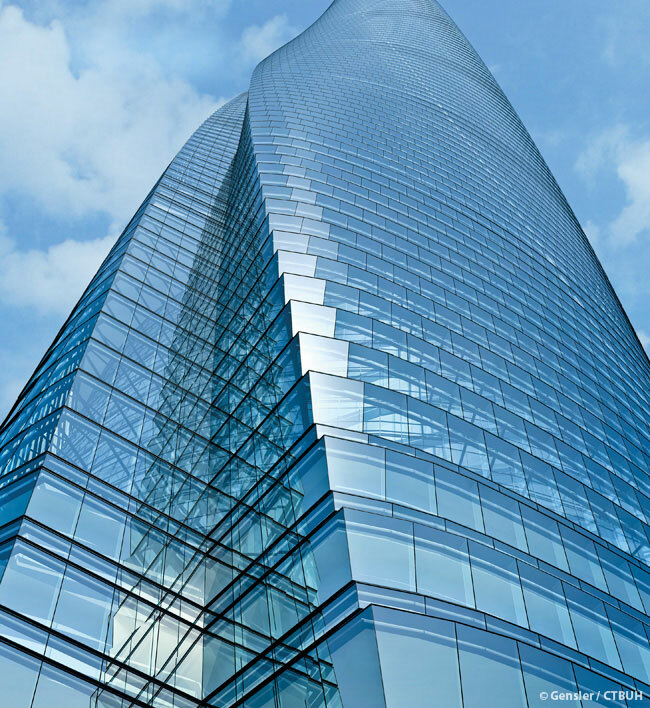 • Architect of Record Tongji Architectural Design (Group) Co., Ltd.
• Engineer of Record Tongji Architectural Design (Group) Co., Ltd.
Project Manager Shanghai Jianke Engineering Consulting Co., Ltd.
• Energy Concept	 CEES-Advisors;	KoopX;	Vidaris, Inc.
• Steel	 Bao Steel Group;	Jiangsu Huning Steel Mechanism Co., Ltd.
As the third tower in the trio of signature skyscrapers at the heart of Shanghai’s new Lujiazui Finance and Trade Zone, Shanghai Tower embodies a new prototype for tall buildings. 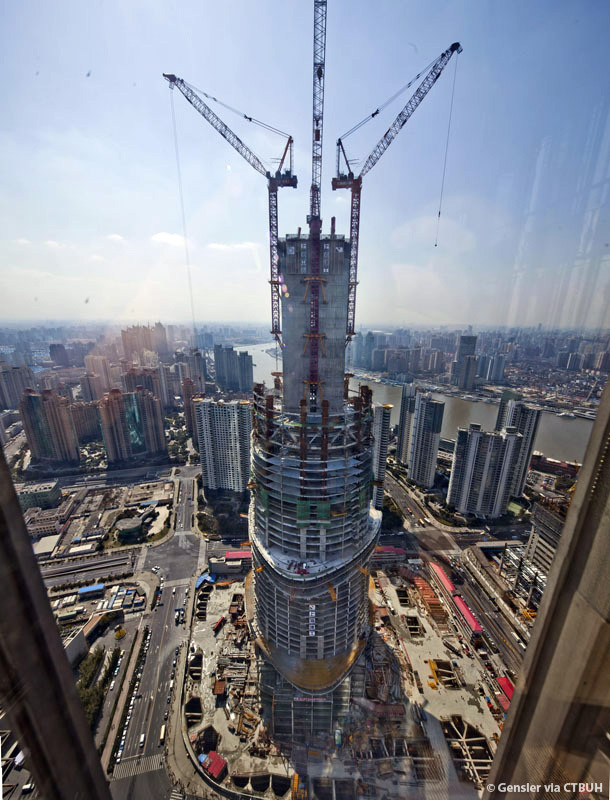 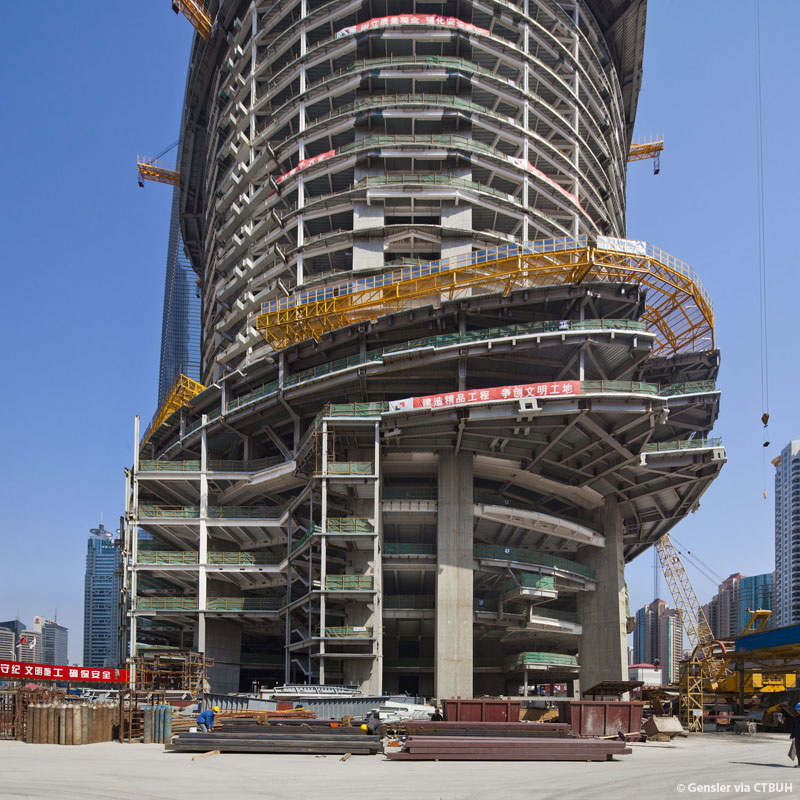 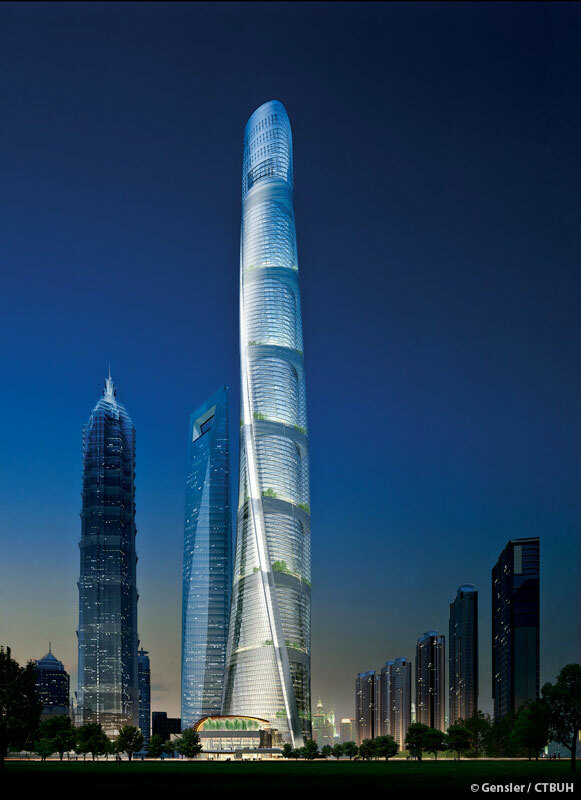 Placed in close proximity to Jin Mao Tower and Shanghai World Financial Center, the new tower rises high above the skyline, its curved façade and spiraling form symbolizing the dynamic emergence of modern China. 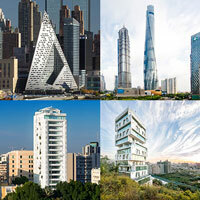 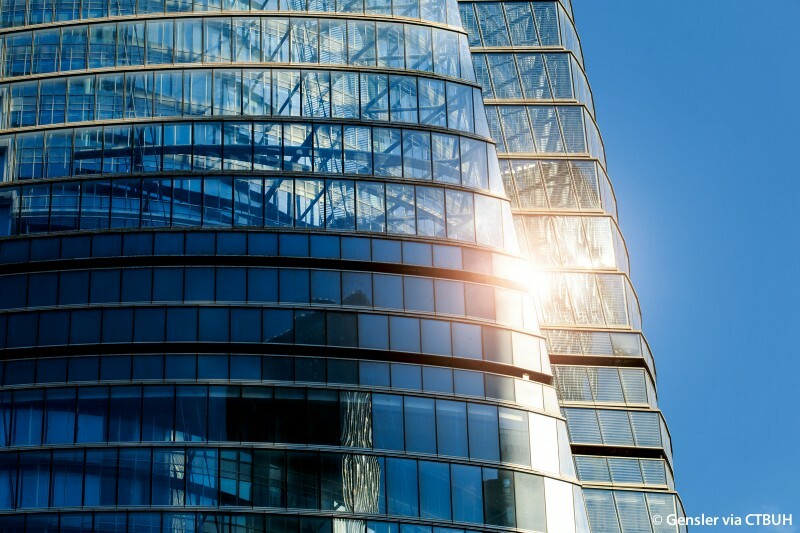 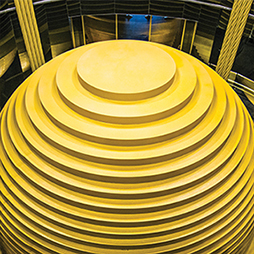 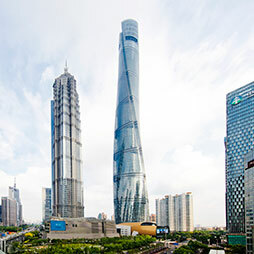 But its twisting form goes beyond just creating a unique appearance; wind tunnel tests confirm a 24 percent savings in structural wind loading when compared to a rectangular building of the same height. 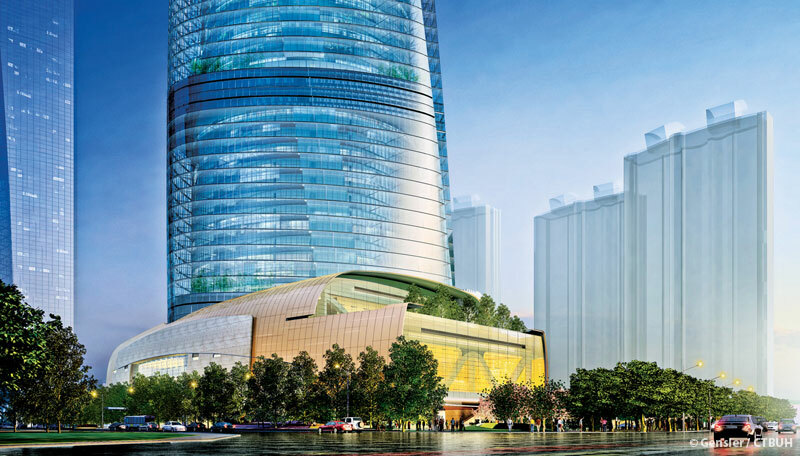 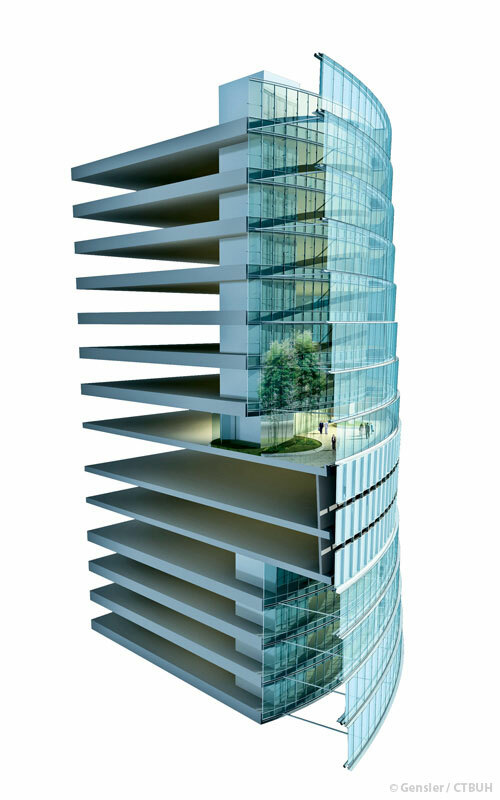 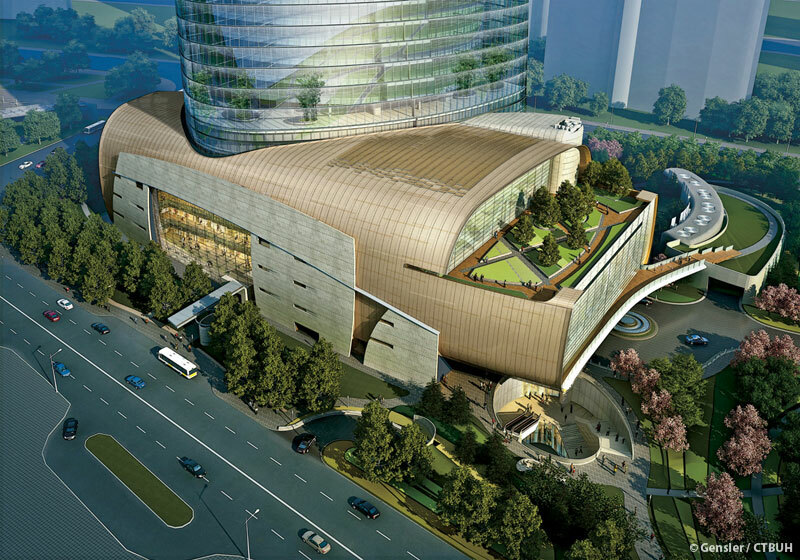 More than a landmark, the mixed-use tower offers a sustainable way of living in a vertical city, with a unique mix of restaurants, shops, offices, and hotels spaced throughout the building. 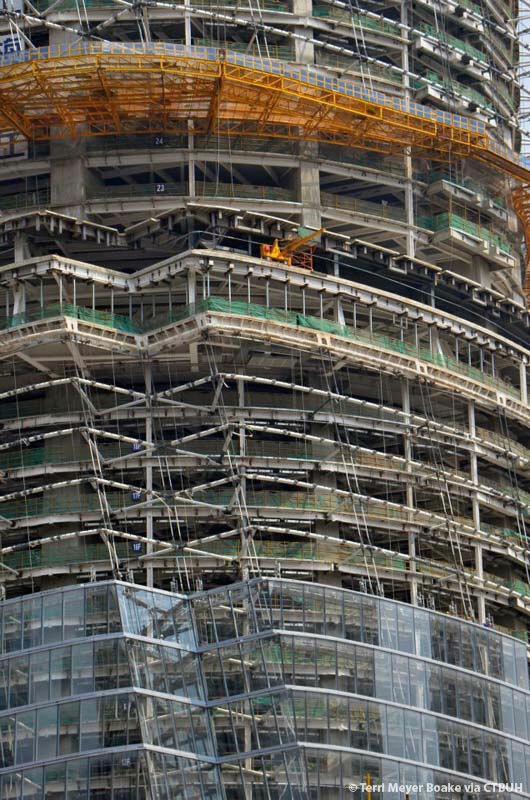 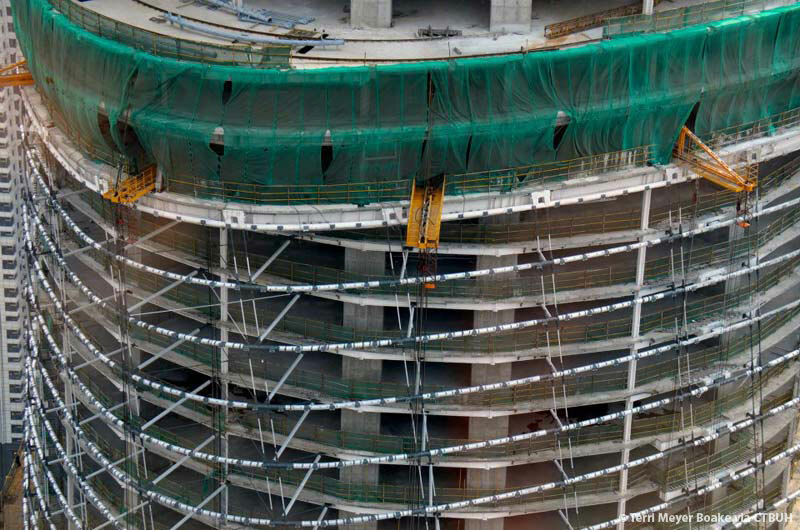 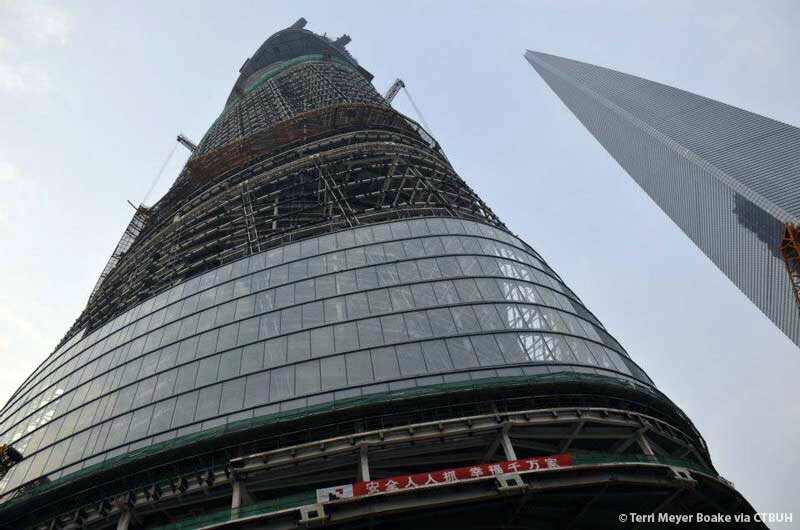 The tower’s program is organized into nine vertical zones. 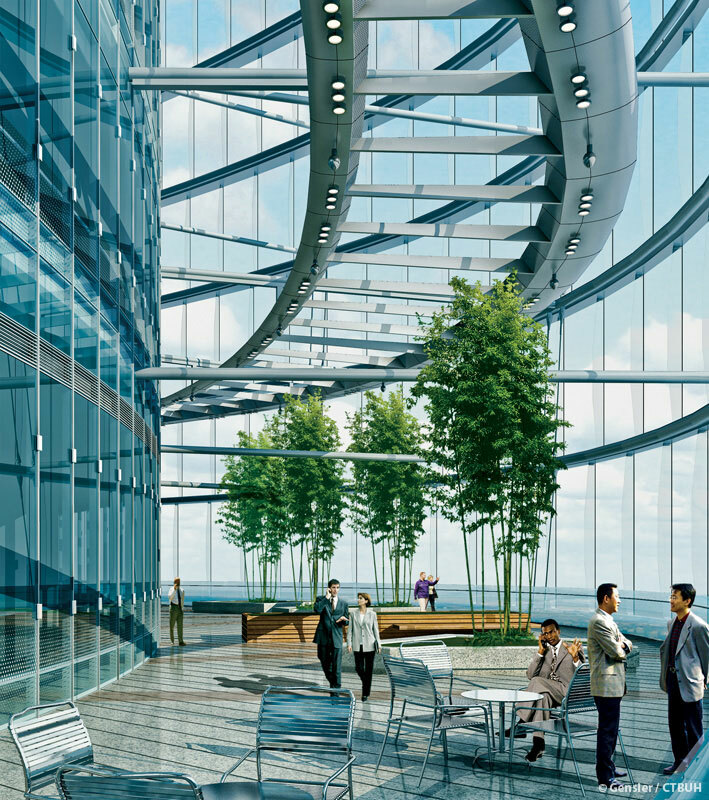 Each of these vertical neighborhoods rise from a sky lobby, a light-filled garden atrium that creates a sense of community and supports daily life with a varied program catering to tenants and visitors. 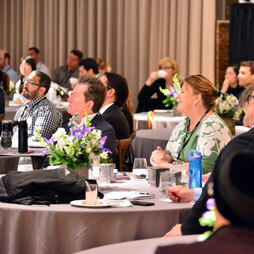 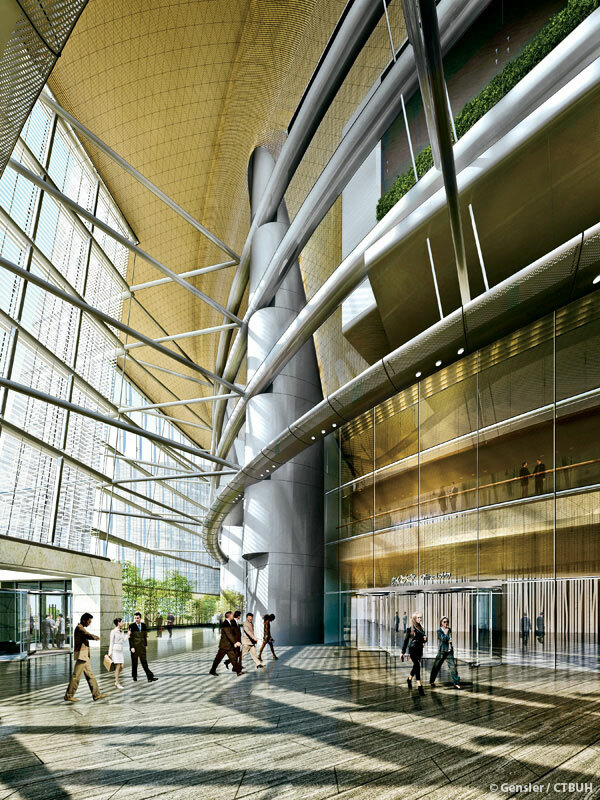 The sky lobbies function much like traditional town plazas and squares, bringing people together throughout the day. 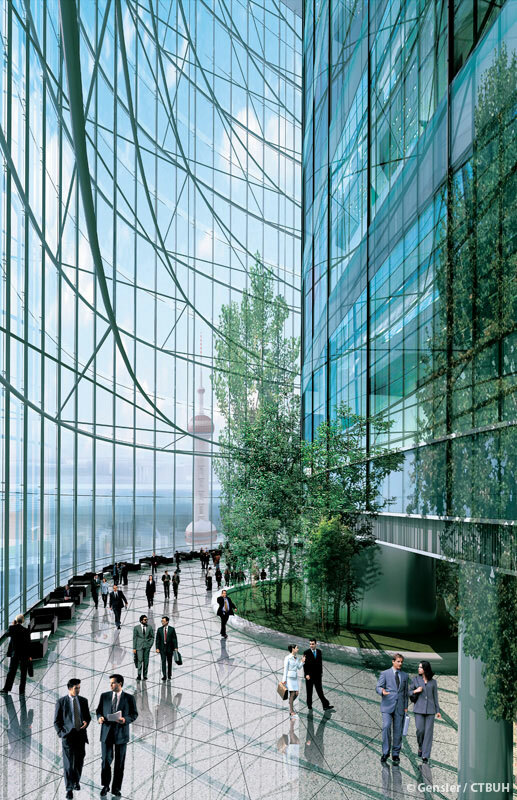 These civic spaces recall the city’s historic open courtyards, which merge interiors with exteriors in a landscaped setting. 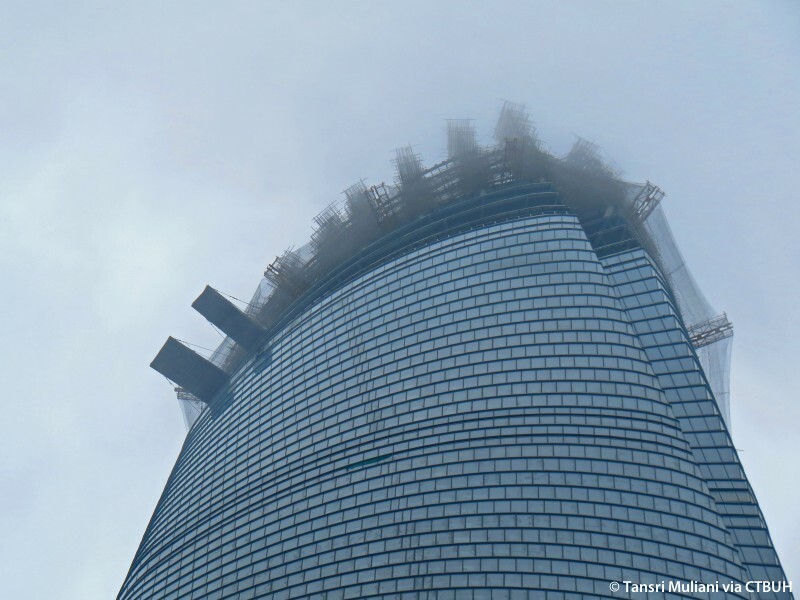 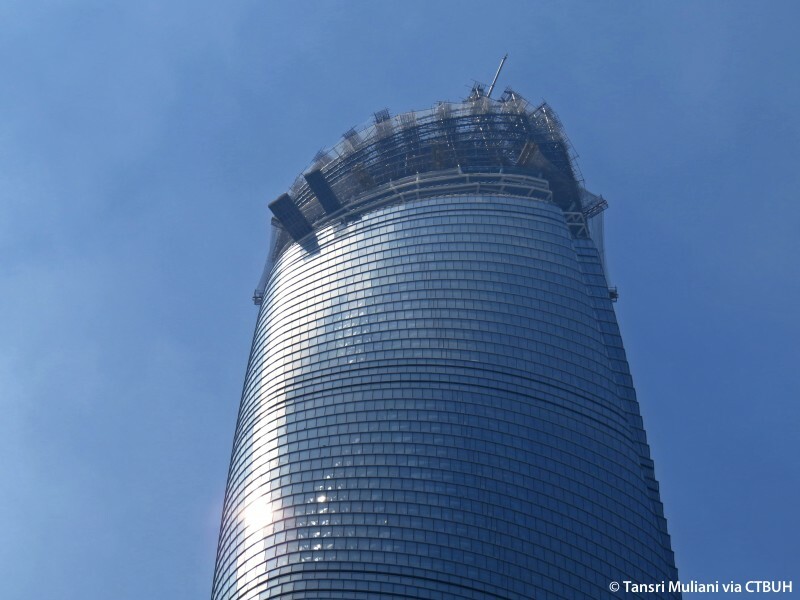 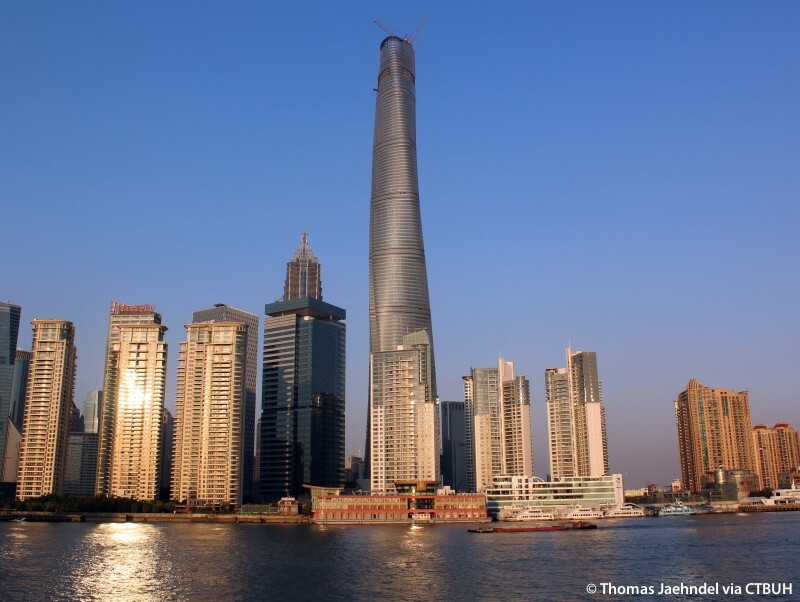 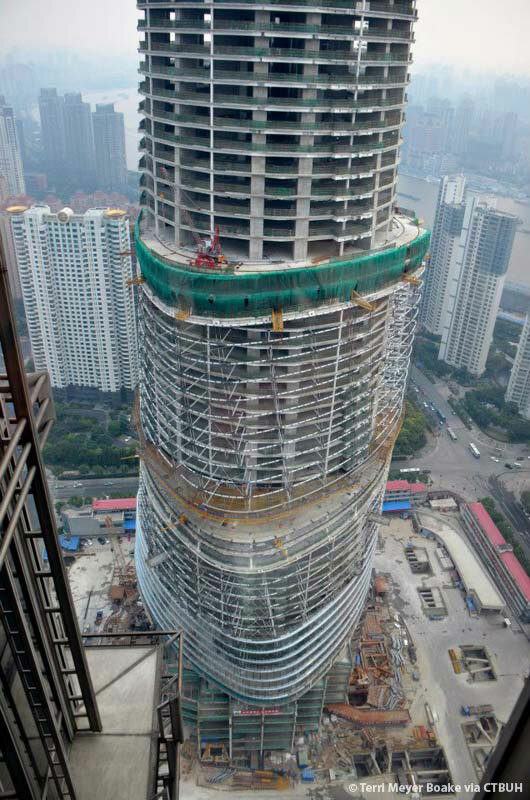 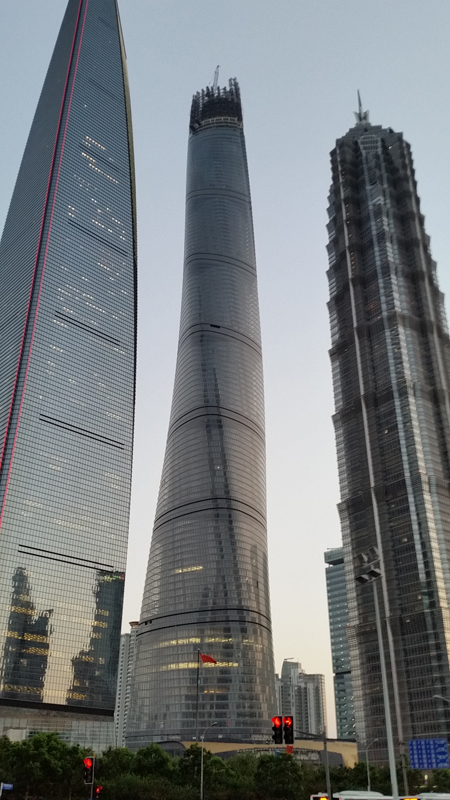 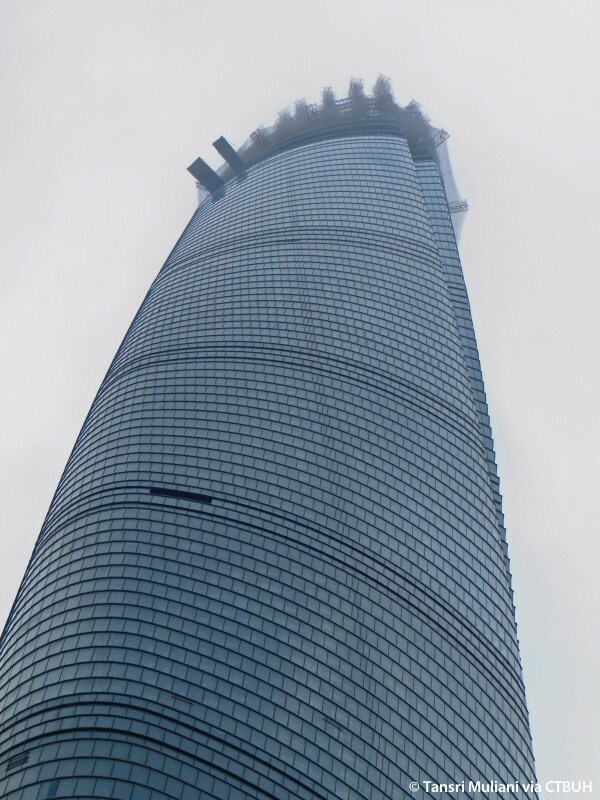 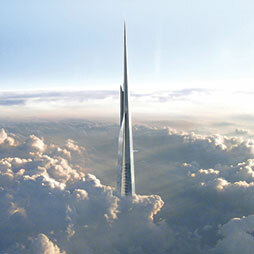 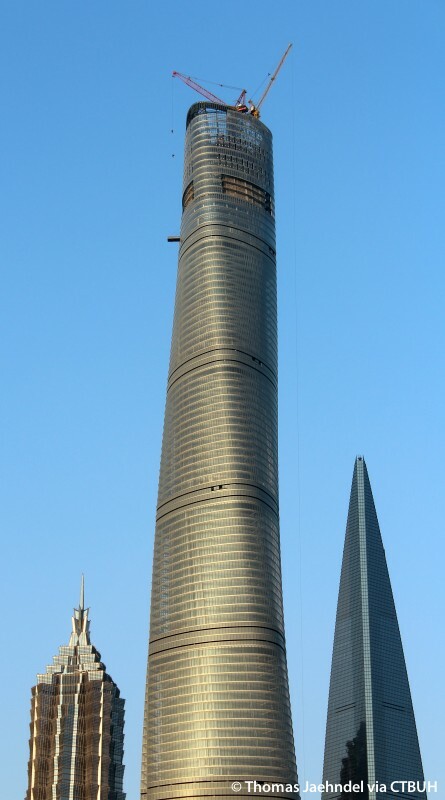 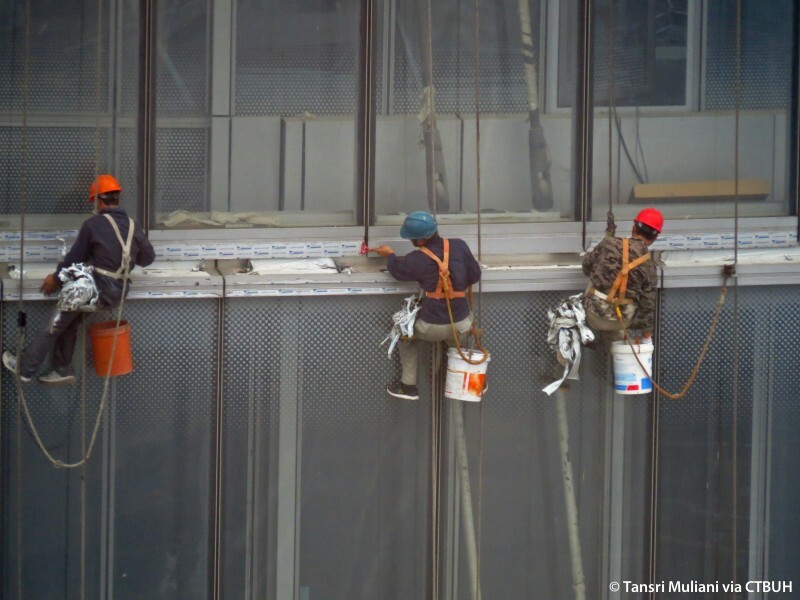 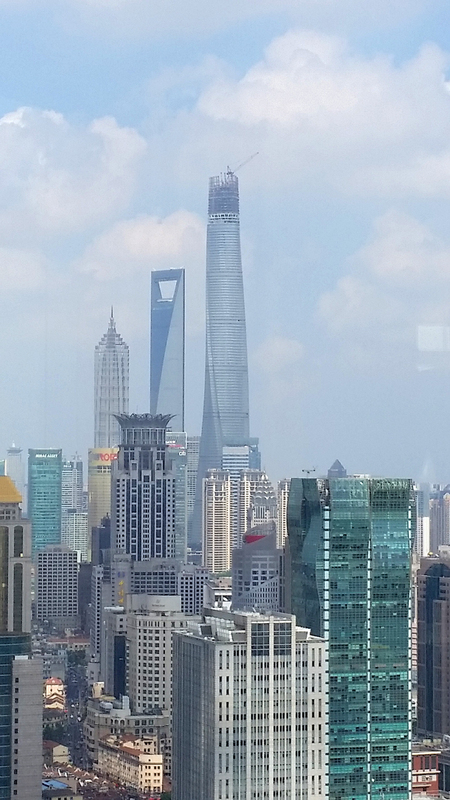 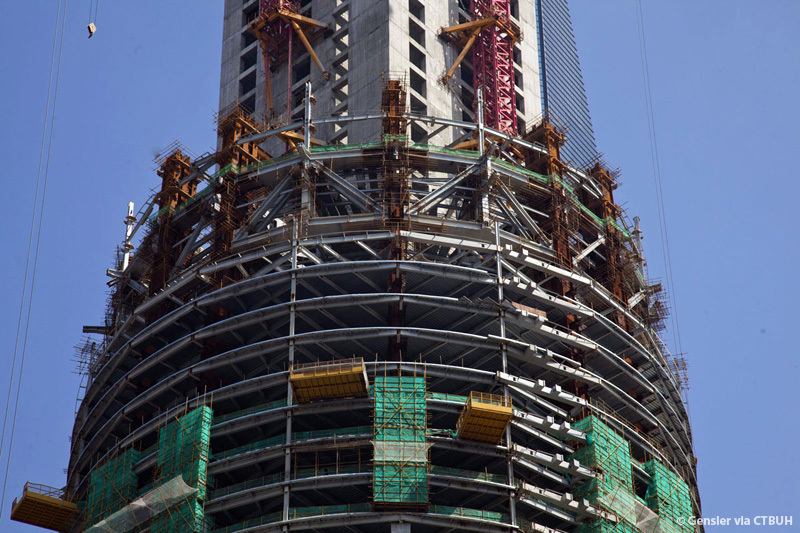 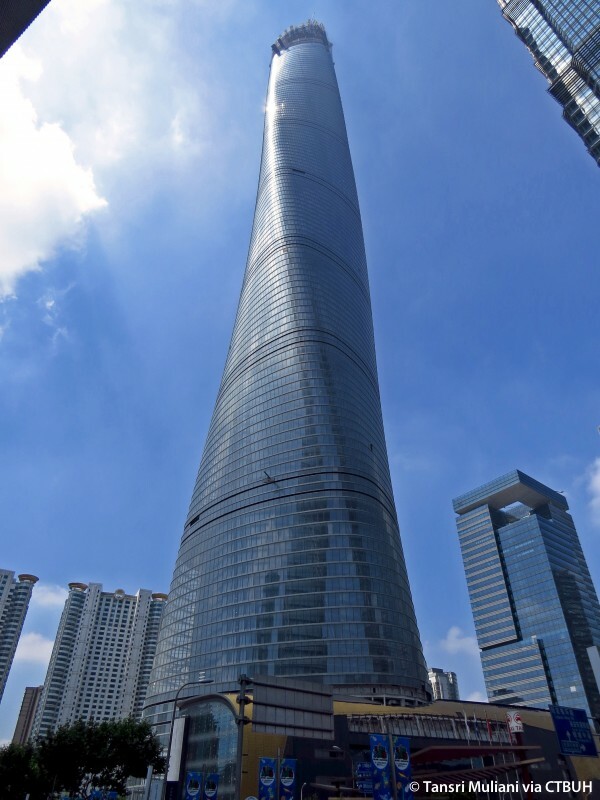 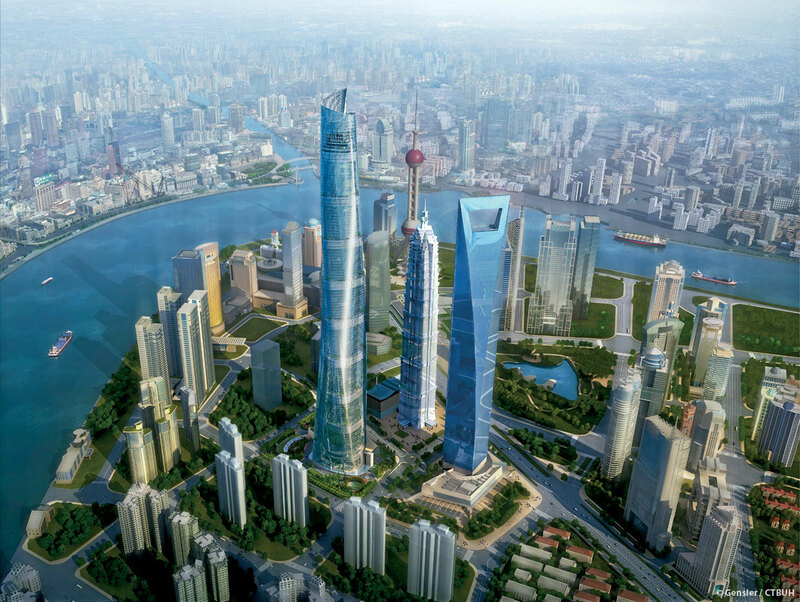 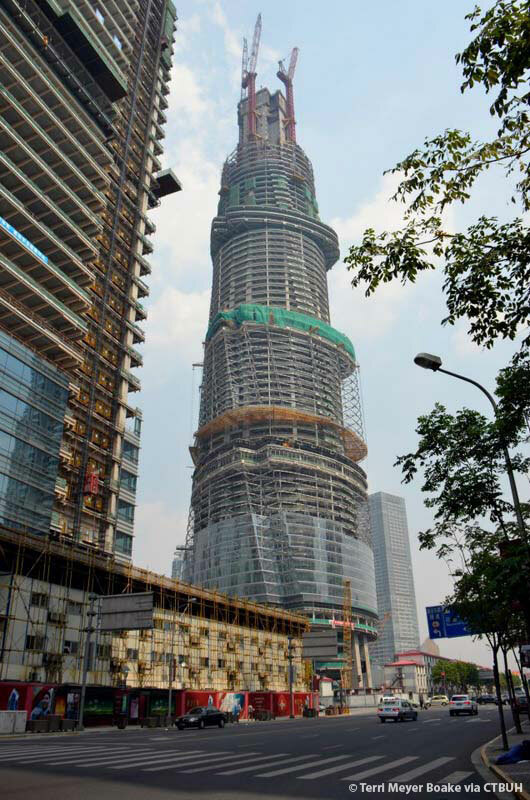 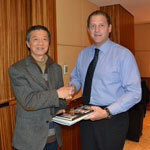 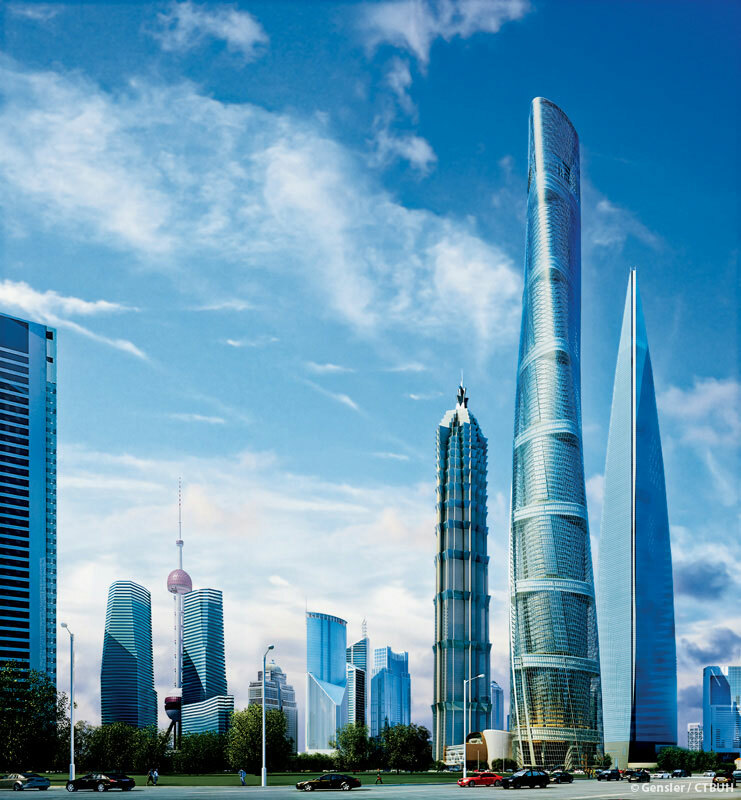 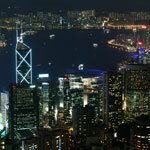 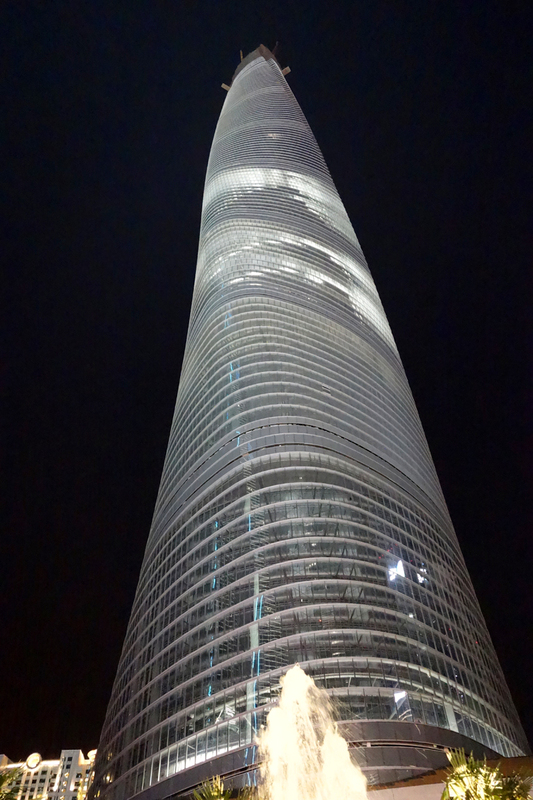 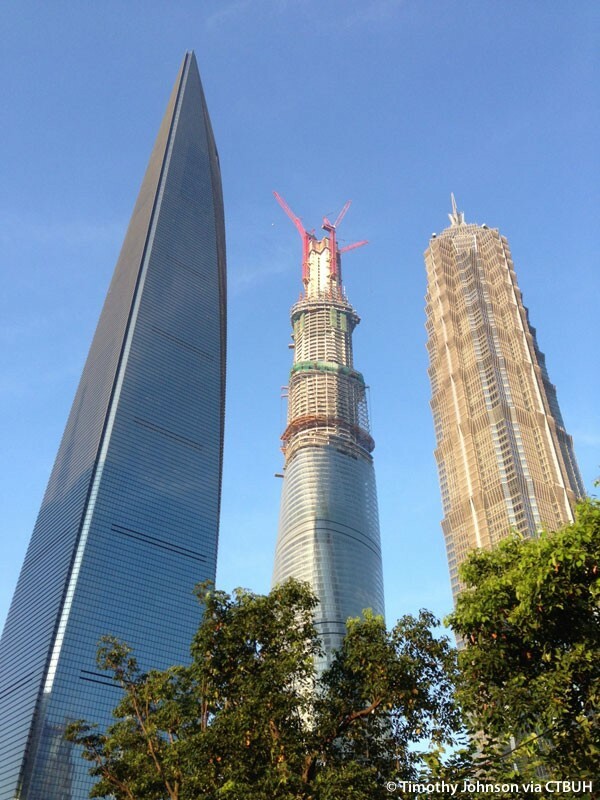 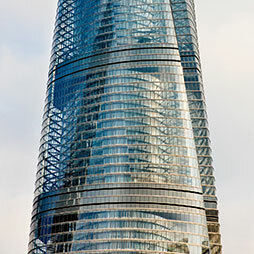 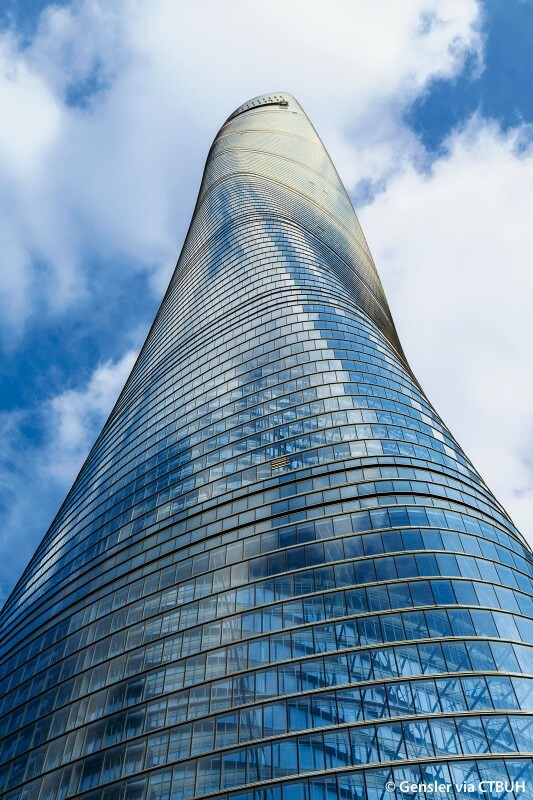 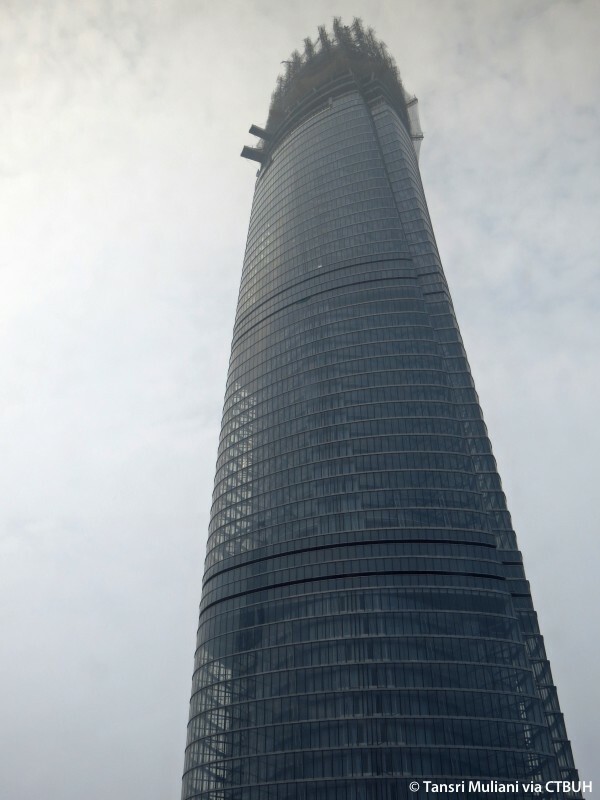 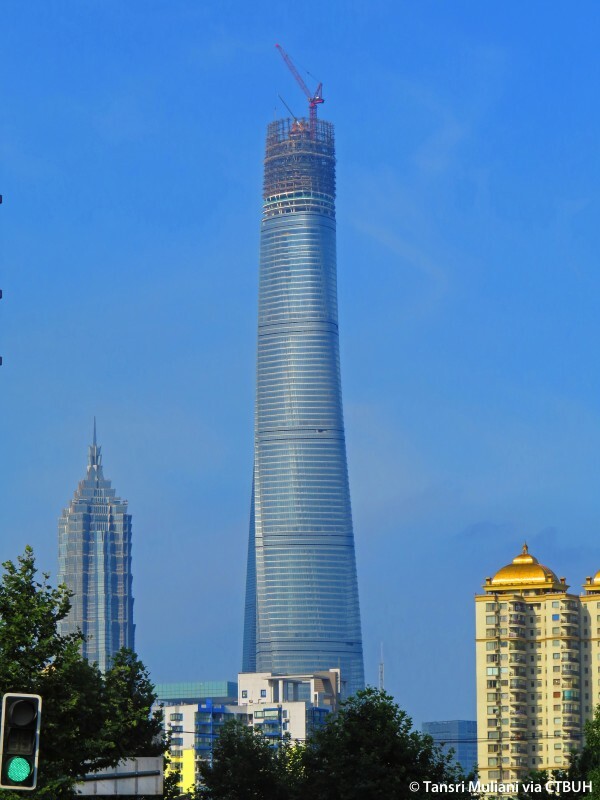 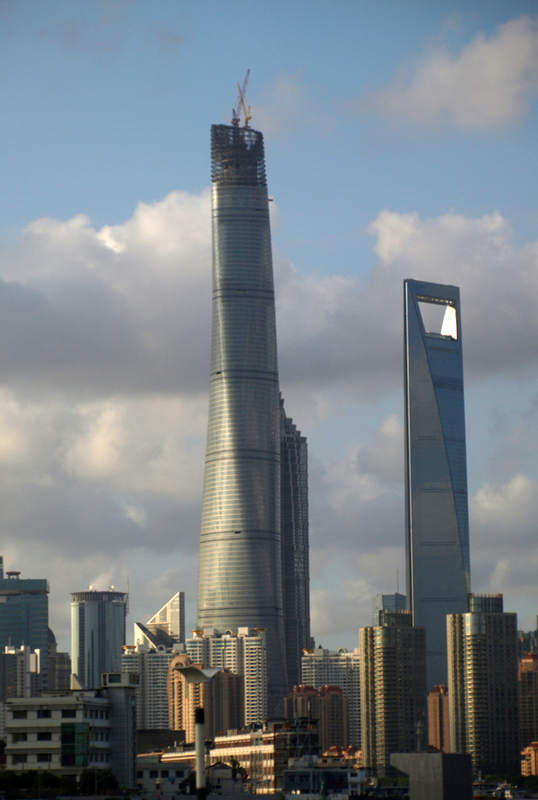 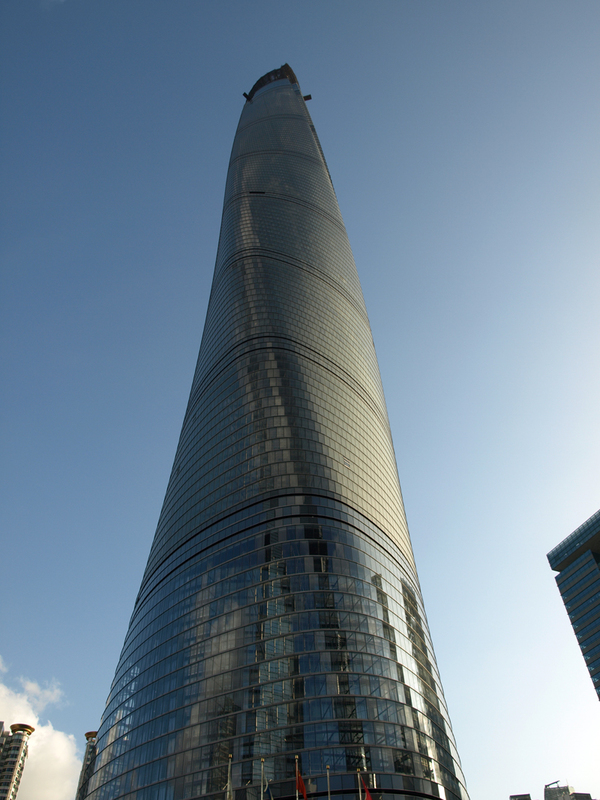 Shanghai Tower is one of the most sustainably advanced tall buildings in the world. 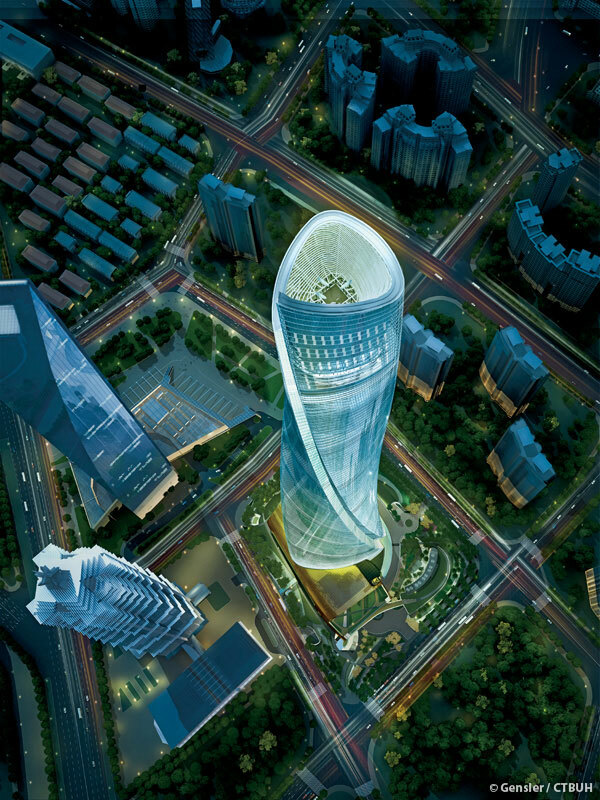 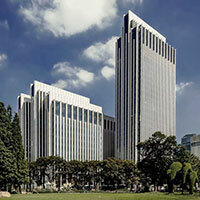 A central aspect of its design is the transparent second skin that wraps around the entire building. 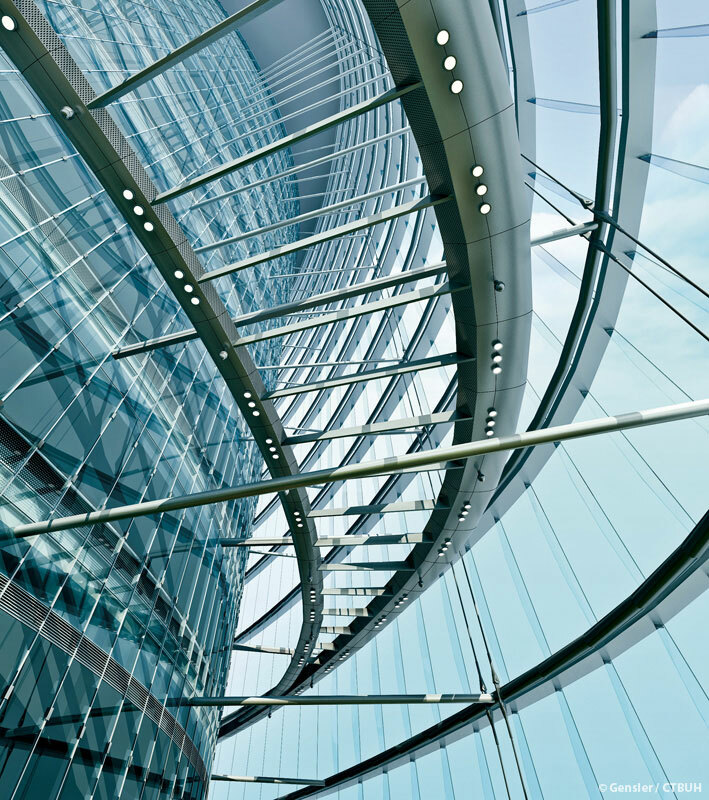 The ventilated atriums it encloses conserve energy by modulating the temperature within the void. 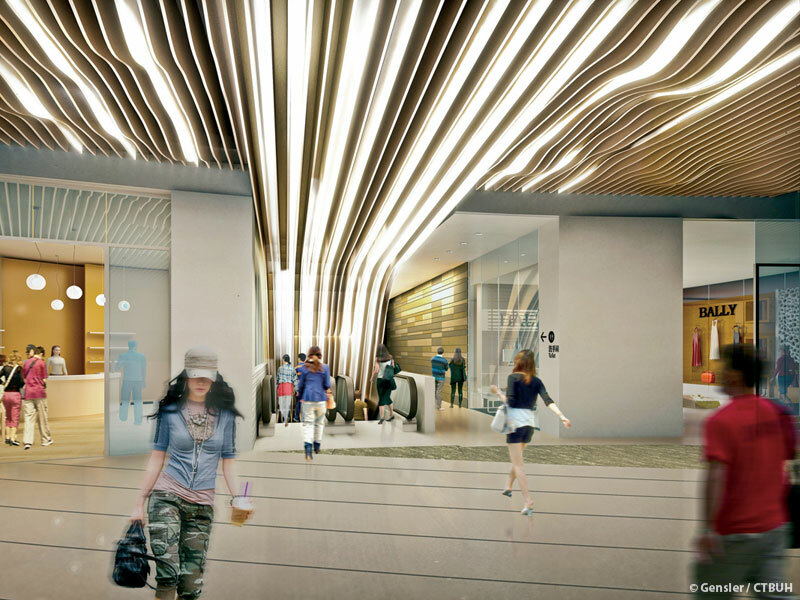 The space acts as a buffer between the inside and outside, warming up the cool outside air in the winter and dissipating heat from the interior in the summer. 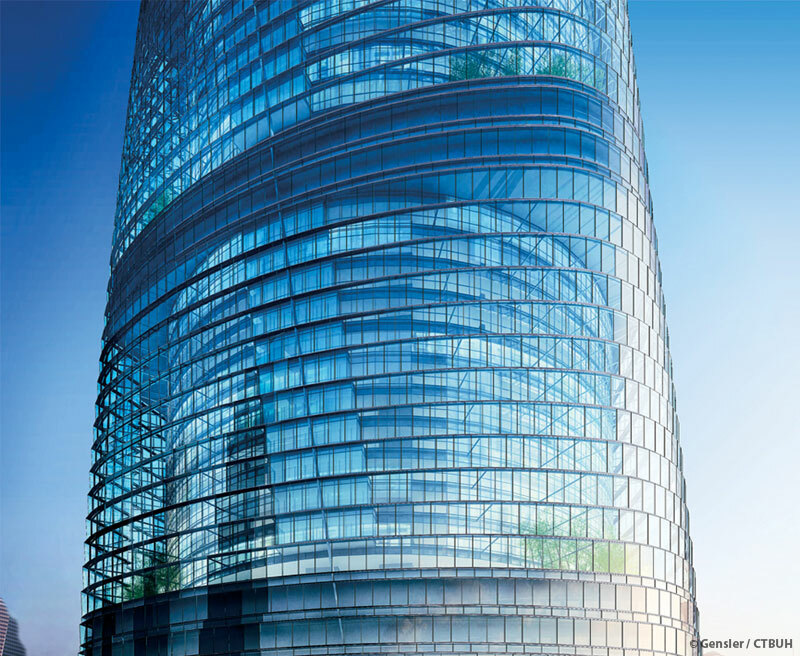 The tower also notably employs a tri-cogeneration system, a grey water/rainwater system, and several renewable energy sources. 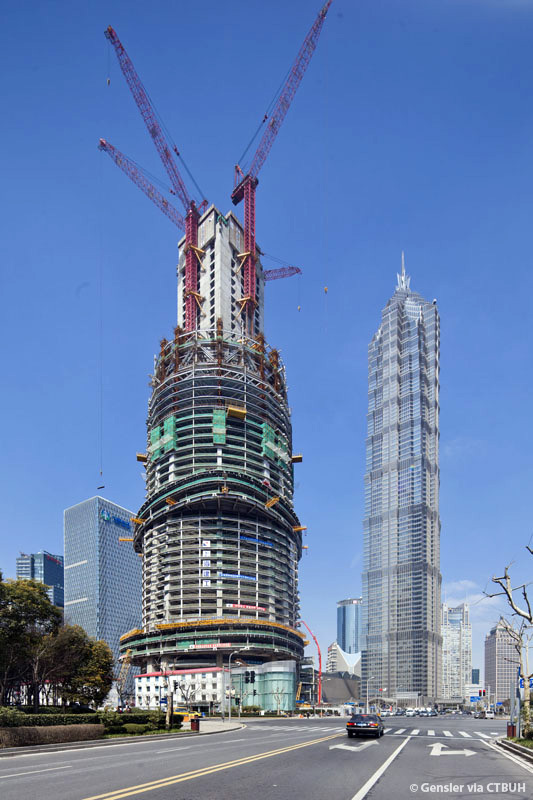 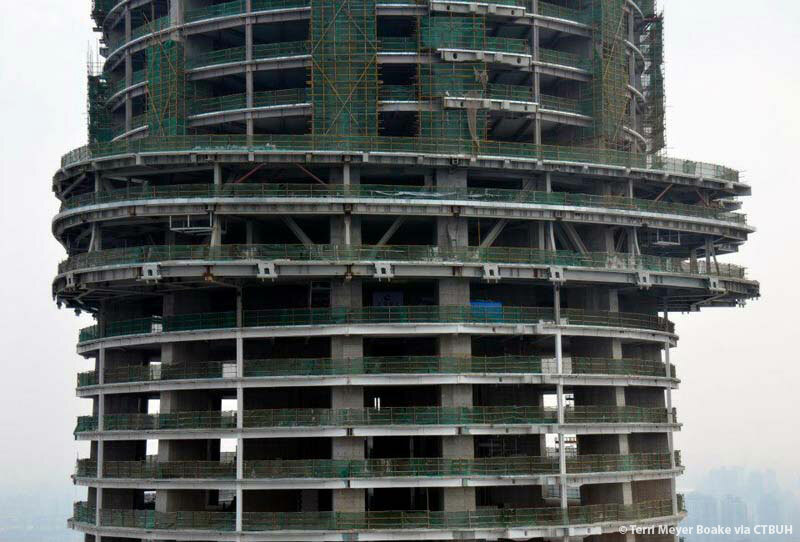 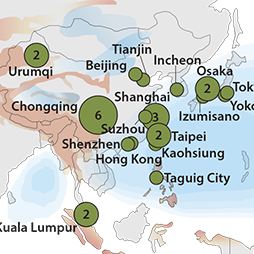 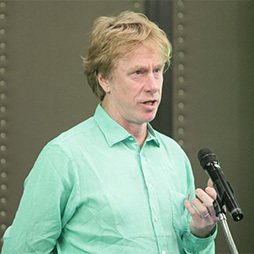 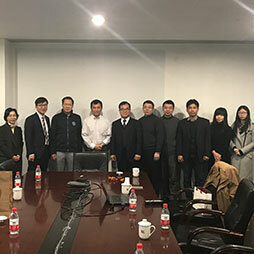 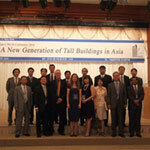 Co-organized by CTBUH, UTRC (China), and Institute of Public Safety of Tsinghua University, this day-long workshop examined the issues and challenges accompanying ever-taller buildings. 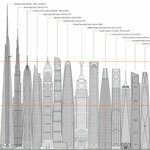 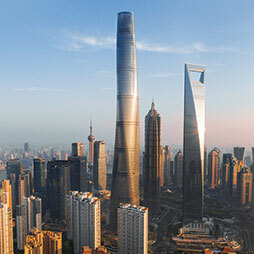 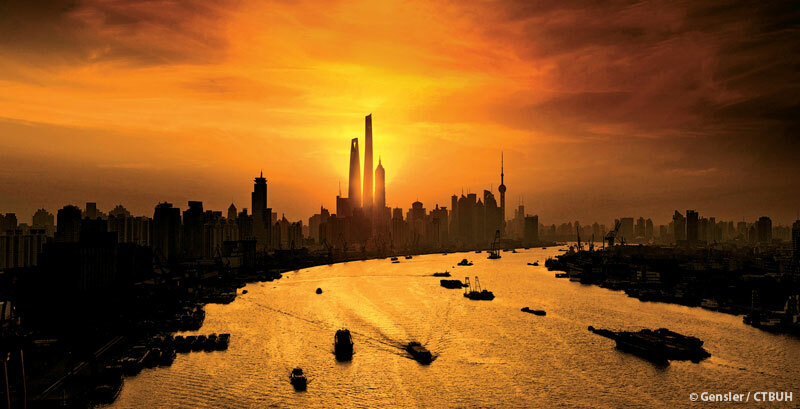 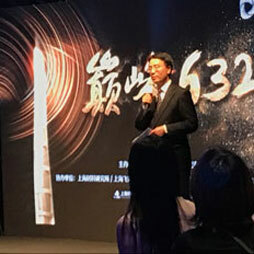 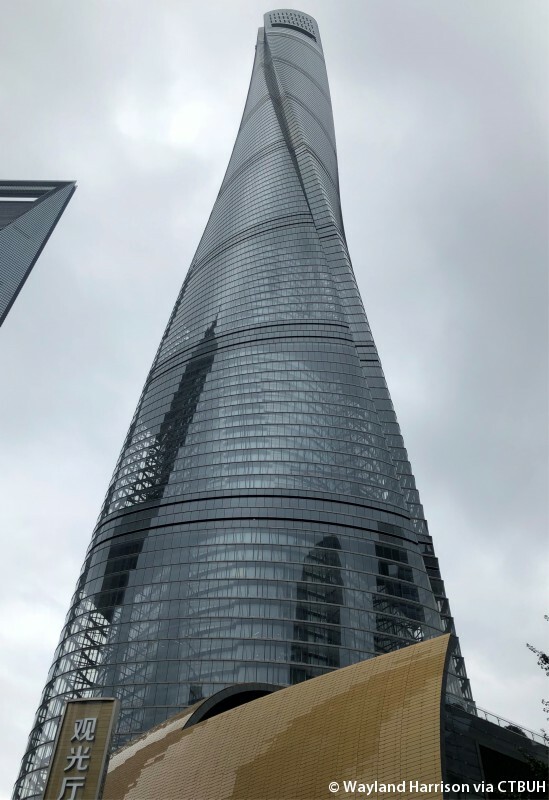 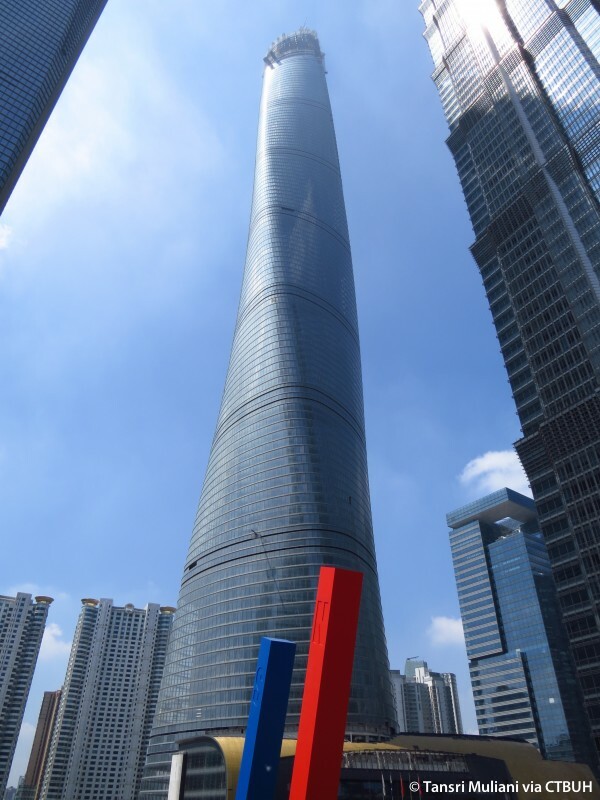 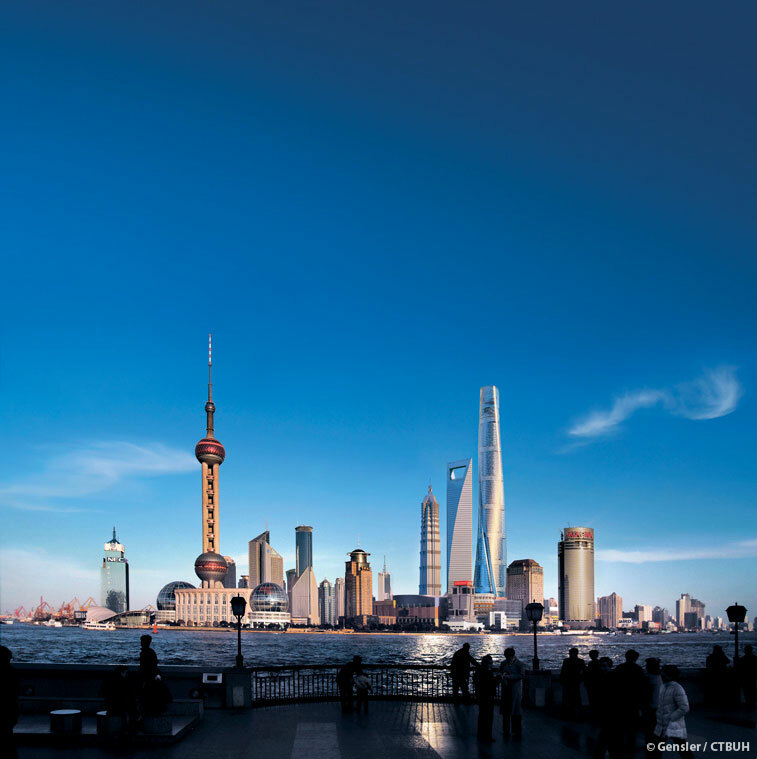 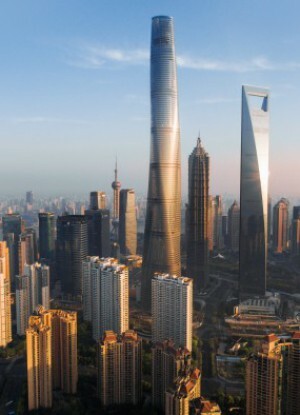 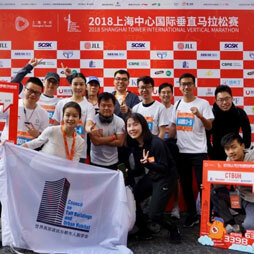 The CTBUH has teamed up with Shanghai Tower to provide a permanent exhibition on the history of skyscrapers as part of the tower’s observation deck experience.